Thank you again for everything you did for our charity event. It was such a great success and we could not have done it without you! I hope that we can work together in the future. Thank you so much for hosting the first ever Reckless Kelly Pitchin' Party. This event was a huge success and the Belmont played a large part in that. 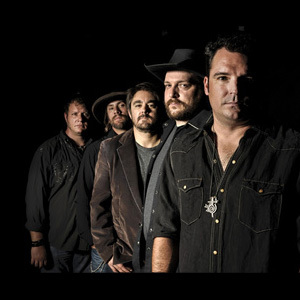 Because of the money that was raised that night for the Reckless Kelly Charitable Youth Foundation, hundreds of children's lives in East Austin will be affected by the events Benefactor, RBI Austin, is doing. We look forward to working with the Belmont in the future. We also want to note that Ham, and the Belmont staff were wonderfull to work with! I just wanted to say thanks to you and your crew for making Christina and Aaron 's wedding so wonderful. Our families and guests had such a great time and the photos show how much fun we all had. We definitely picked the right venue to have the wedding. Best wishes to you all. 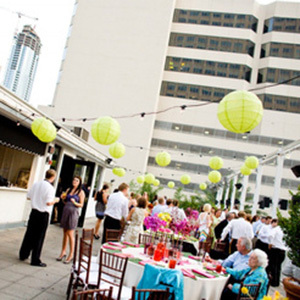 For my wedding venue, I wanted something that had both an indoor and outdoor element; something downtown so the party could continue at a bar, seamlessly; that could handle 250; and wasn't charging an arm and a leg. Thus, I landed on The Belmont. Overall, I LOVED The Belmont as my wedding venue and would have my wedding there all over again (not that I would ever voluntarily plan a wedding again! ha!) and definitely recommend it to friends looking for something a little 'different' for their weddings!